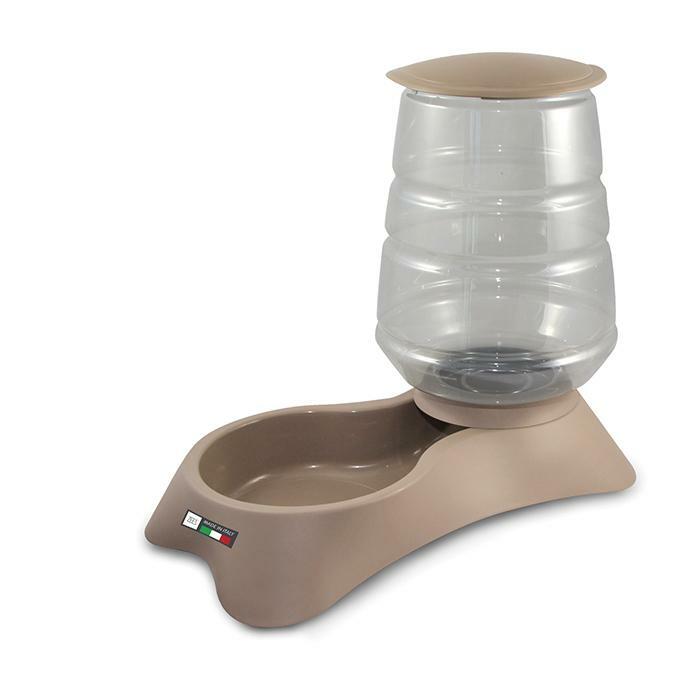 ZEEZ NUVOLA DISPENSER - FOOD DISPENSER 5.8L Mocaccino - 120_FEEDING & WATER ITEMS, Feeders & Waterers, ZEEZ Nuvola - Feed - Product Detail - Prestige Pet Products Pty. Ltd. The ZEEZ Nuvola food dispenser is made from a thick and heavyweight plastic with a matte exterior and hygienic, easy to clean gloss interior. The flared corners and non-slip rubber feet keep the feeder stable. With its large capacity, this dispenser allows for a night away, without worrying about feeding your pet.